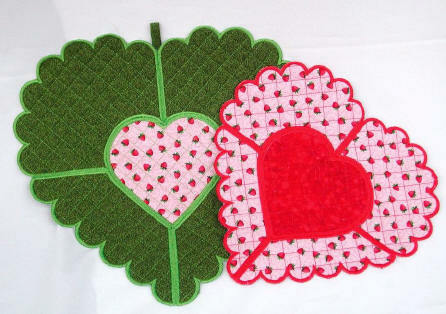 When assembled, There are two size Scalloped edged hearts. 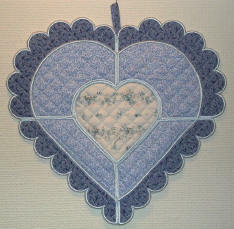 Also included are two panels to make a contrast fabric Large Scalloped edged heart. 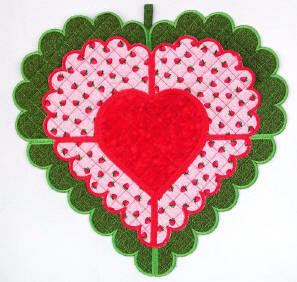 The quilting gets done in the hoop, so any fabric of your choice can be used.